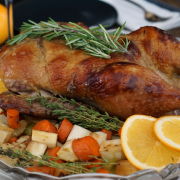 Pair this orange-glazed duck with a couple of the Paleo side dishes included in my ebook, like plantain stuffing or balsamic brussels sprouts. 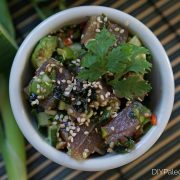 Tuna poke salad is a nice change-up from regular tuna salad with mayo. It’s reminiscent of sushi and can be eaten for breakfast, lunch or dinner! 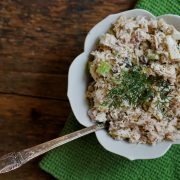 This chicken salad uses homemade mayo, crisp fruit and veggies, and light seasoning to make it the perfect picnic or potluck food. 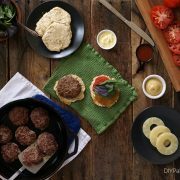 I know there are probably a lot of recipes out there that claim to be the best in their class. But seriously, these AIP burgers are the best. 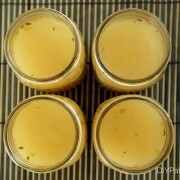 Ever since I discovered 1) the health benefits of homemade bone broth and B) the cost effectiveness of making it myself, I haven’t looked back. 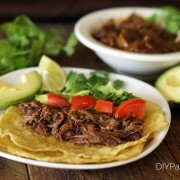 Beef cheek barbacoa is what you wish Chipotle tasted like. It’s tender, fatty, and falls apart in the pot.